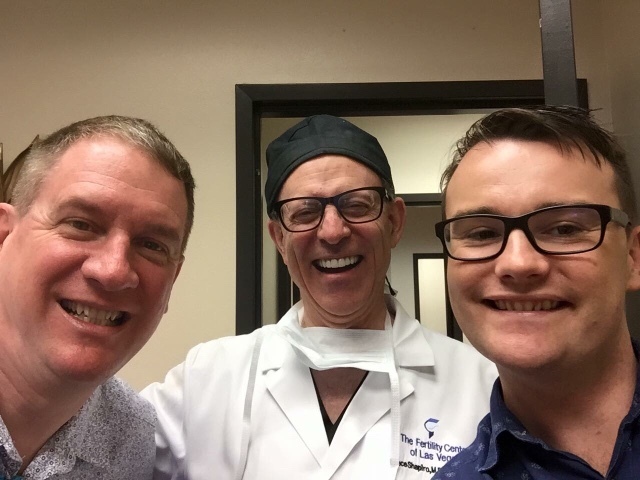 Last year I had the privilege of meeting prominent US fertility doctors Dr Bruce Shapiro and Dr Said Daneshmand from Fertility Center of Las Vegas. I first met Dr Shapiro when I saw him present about the perils of implanting more than one embryo into a surrogate, due to the risks of twinning, which in turn led to a high risk of complications, premature births, increased cost and risk to the babies and the life of the surrogate. Subsequently I met Dr Daneshmand when I attended the American Society for Reproductive Medicine conference, where Dr Daneshmand was presenting. Last year, Dr Daneshmand and I presented about surrogacy in the US, along with psychologist Dr Kim Bergman from Growing Generations surrogacy agency, at seminars in Brisbane, Sydney and Melbourne. One of the questions that I am always asked is how often the surrogate gets pregnant on the first cycle. My response is that I am a lawyer, not a doctor, but when you mix medicine and techniques designed to get infertile women pregnant with a fertile woman, a surrogate, there are very good odds for the surrogate to get pregnant on the first IVF cycle. Dr Daneshmand was able to be more precise. He said that at his clinic the surrogate was pregnant 87% of the time on the first cycle. The obvious question was why the surrogate was not pregnant the other 13% of the time. His answer was clear- usually the problem was not the surrogate- typically it was when the intended parents used their egg and sperm and there was an undiagnosed problem. This did not occur when donor eggs are used, because donor eggs are subject to rigorous screening. The form of screening of which Dr Daneshmand is a clear proponent is pre-genetic screening or PGS. In Australia we call it pre-genetic diagnosis or PGD. PGD has not been available in Australia except for medical reasons. Doctors are forbidden from using PGD here otherwise, because it enables doctors (and therefore intended parents) to find out the gender of the embryo. Australians instead have been going to the US to have PGD, and reports indicate that 80% of them are choosing girls. Recently the National Health and Medical Research Council (which sets these licensing conditions) has proposed lifting this ban in Australia. I have always strived for excellence in my work. I am impressed by those who innovate, and in terms of IVF labs, those who put research at the forefront of their practices. Aside from being nice guys, I have been impressed by Dr Shapiro and Dr Daneshmand's commitment to innovation, excellence and research. But I digress. 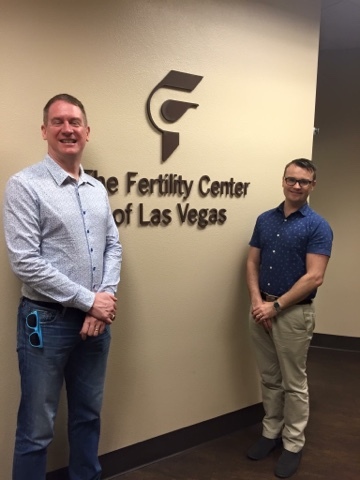 Recently my husband Mitchell and I called in and visited the labs of the Fertility Center of Las Vegas. The pictures speak for themselves. With business development manager, and our matron of honour, Shivas Price. This screen shows that the DNA is of a healthy female. It isn't an IVF lab without liquid nitrogen! The screen shows the complexity of DNA. With Dr Bruce Shapiro, who was about to operate. 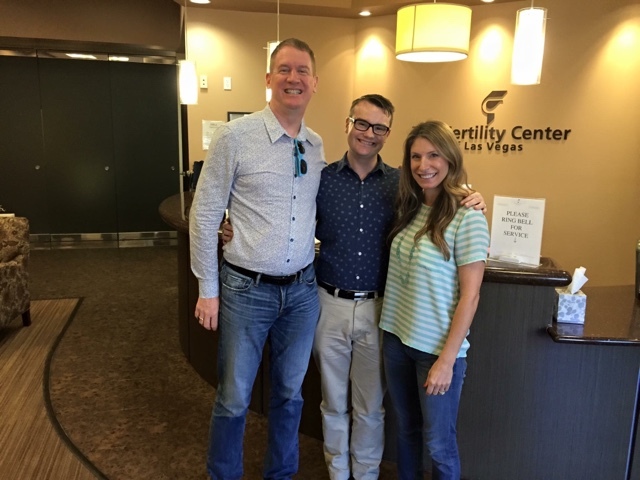 Disclosure: I stayed in Las Vegas as a guest of the Fertility Center of Las Vegas. Dr Daneshmand was my best man when I married Mitchell. Shiva Price was matron of honour.